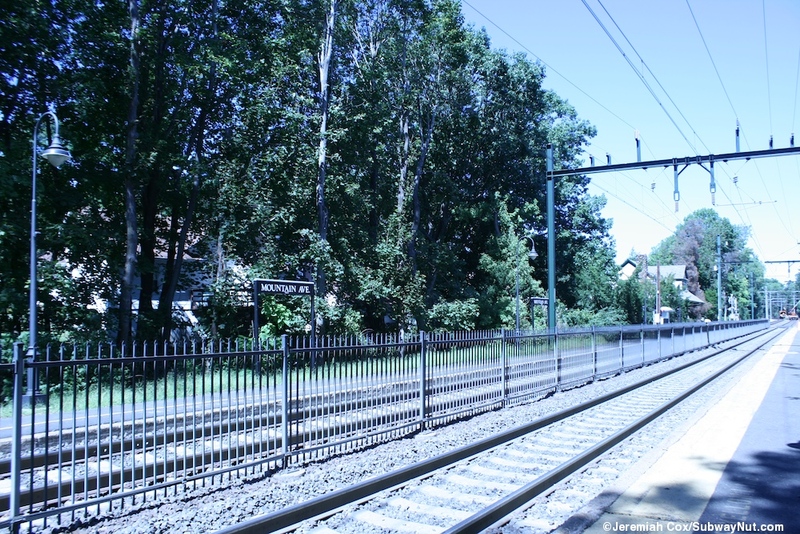 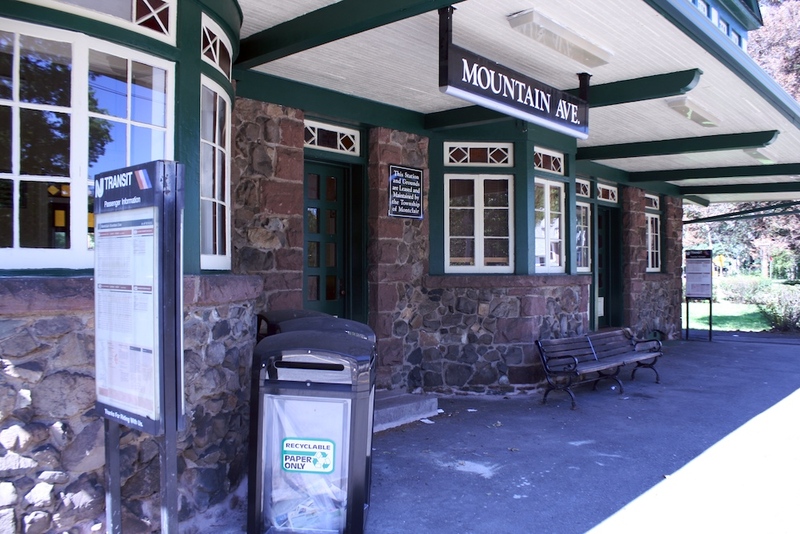 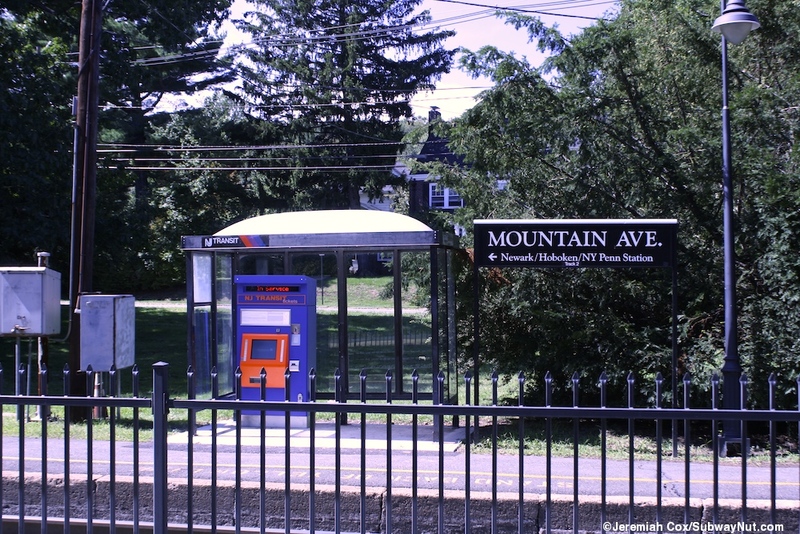 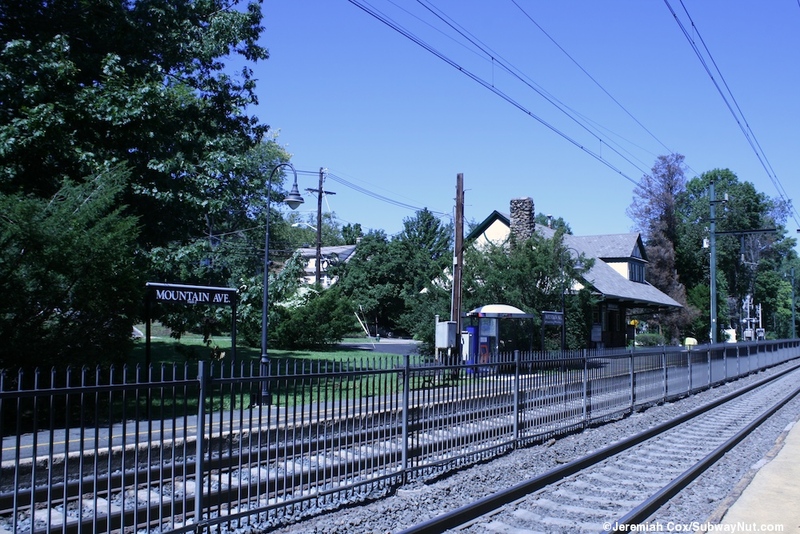 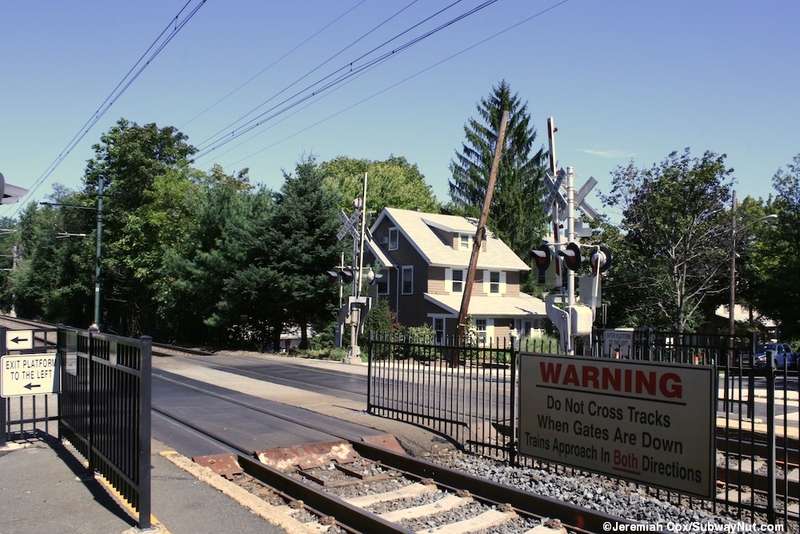 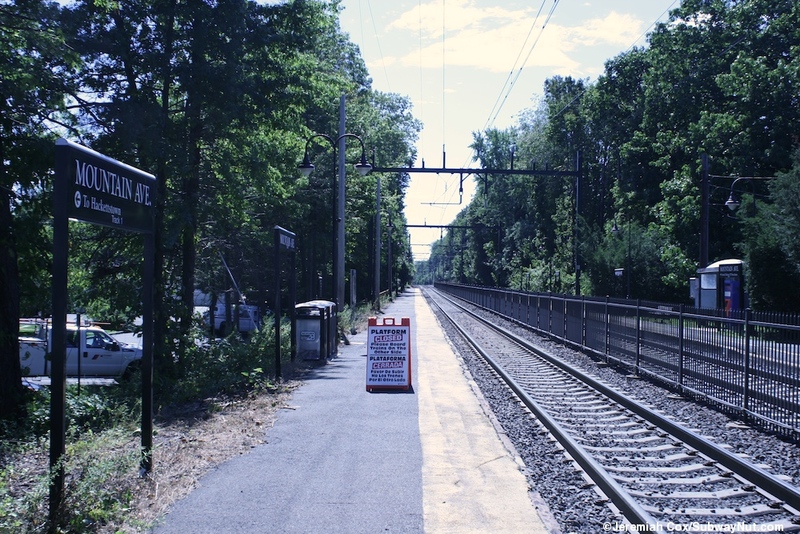 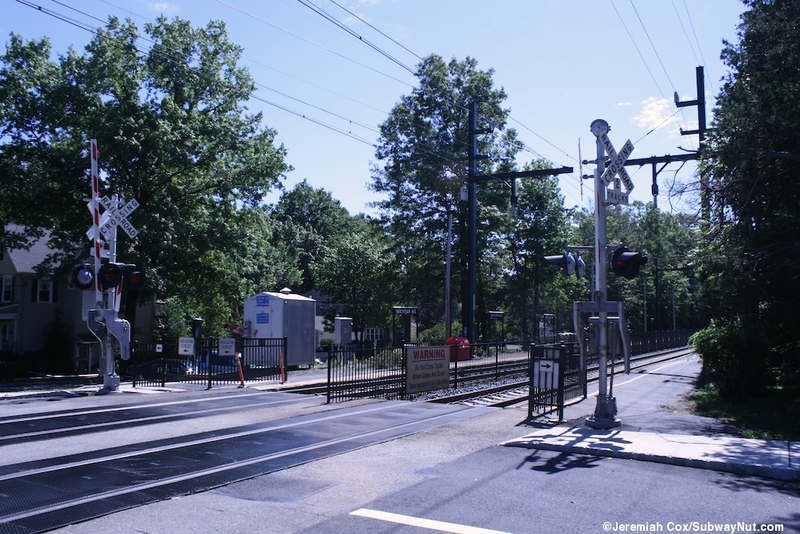 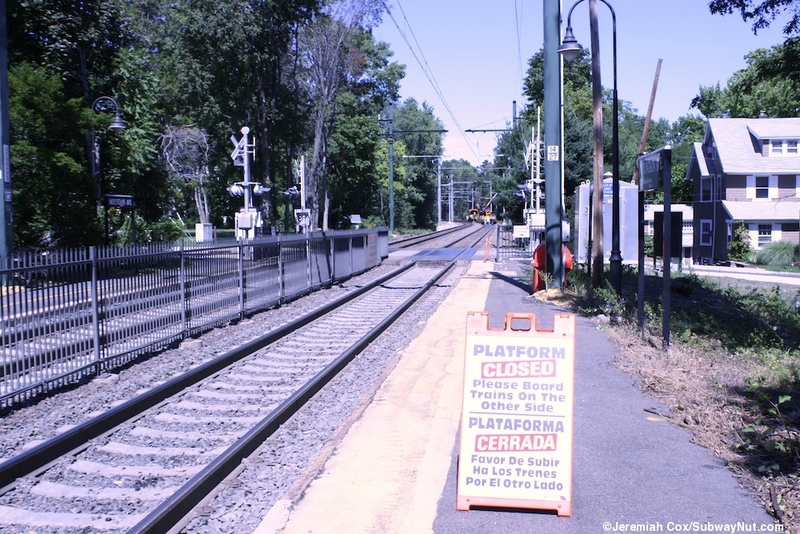 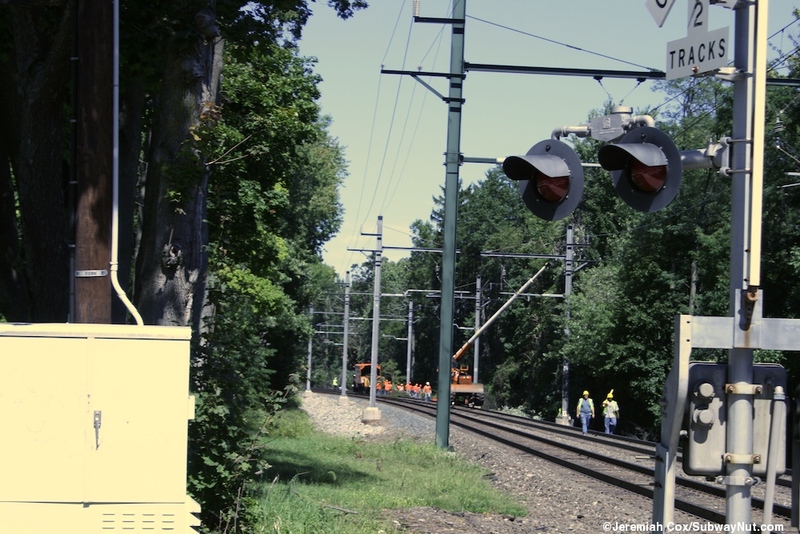 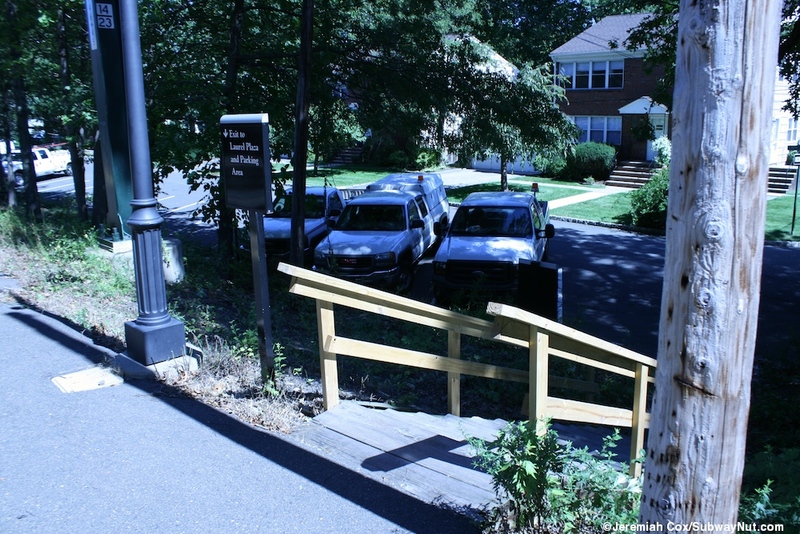 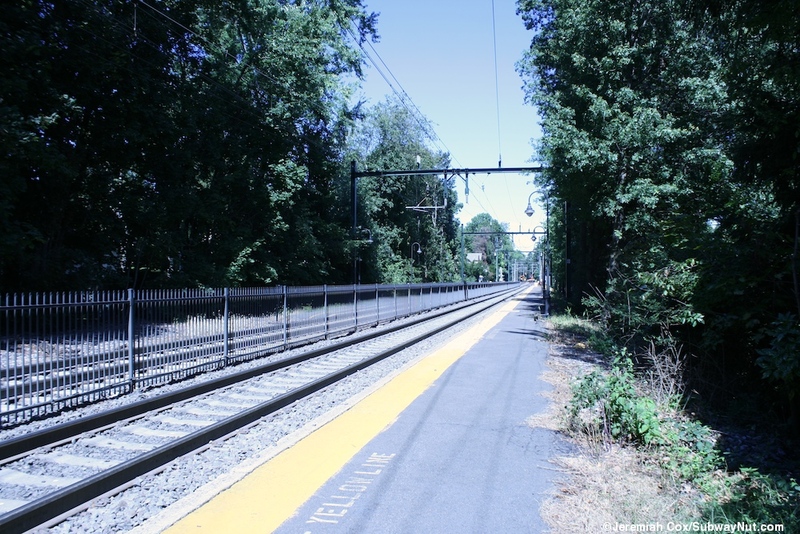 Mountain Avenue (not to be confused with Mountain Station in the Oranges on the Morristown Line) is a grade level station in Montclair with two low-level side platforms with a fence between them that extend south of the grade crossing with Laurel Place. 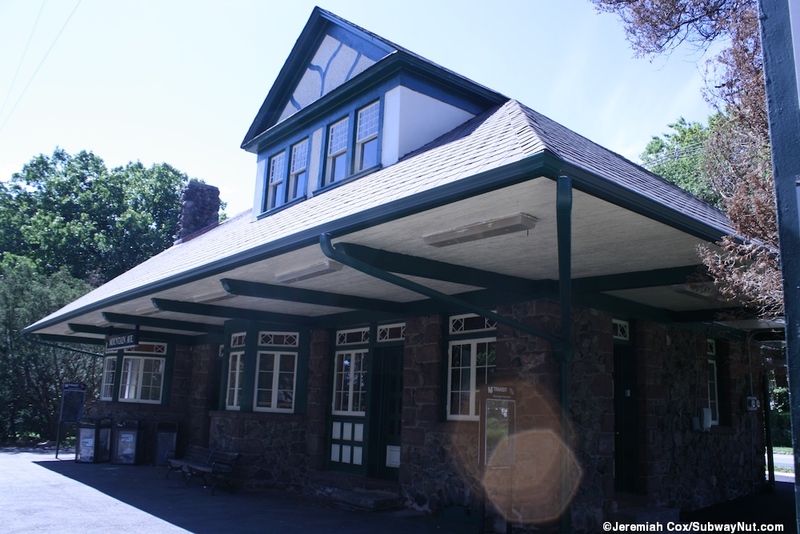 Along the Newark-bound platform nestled between the platform and Upper Mountain Avenue is a historic 1893 station house. 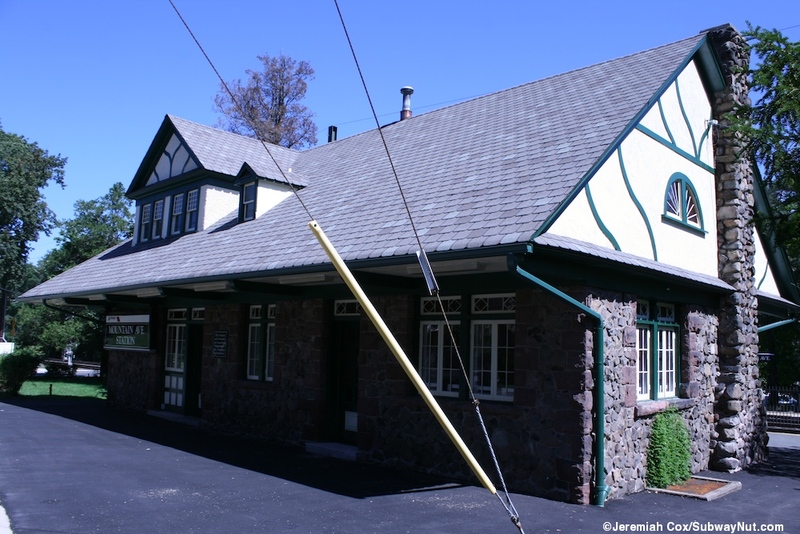 What is particularly unique about this stone building with a high gabled roof with second story windows inside it is that the City of Montclair leases most of it out as a private residence. 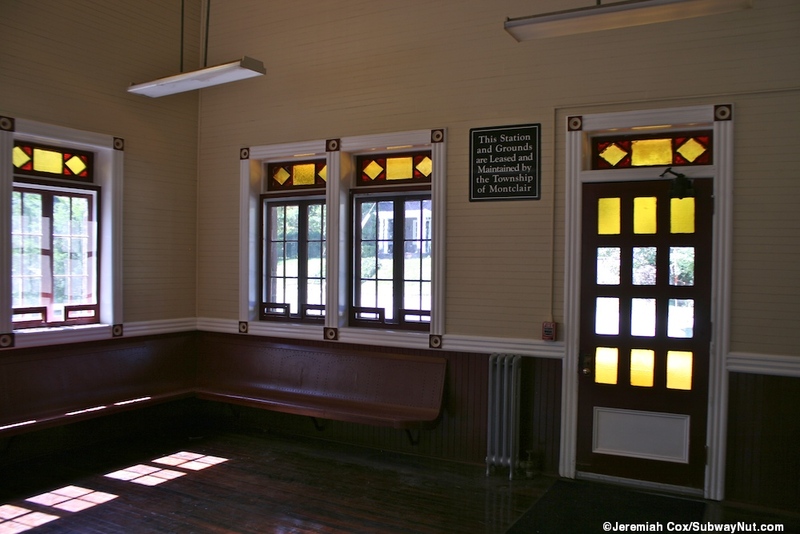 A room on the ground floor is still open as a public waiting area. 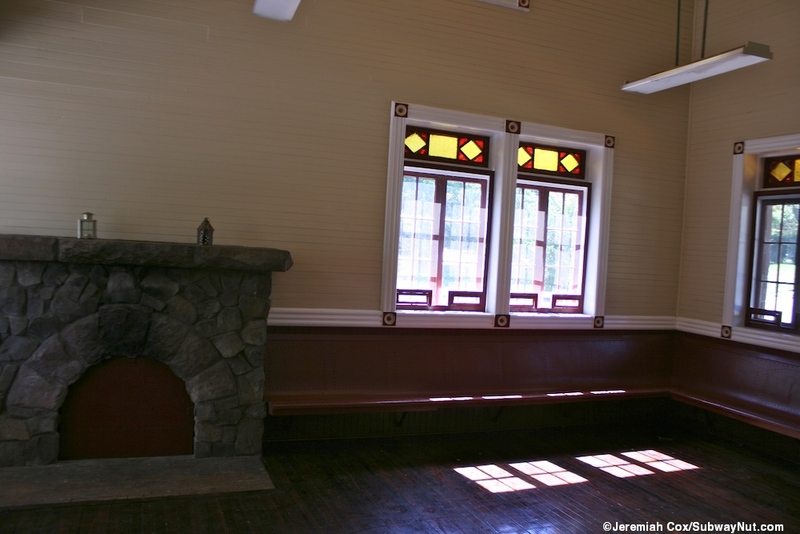 It is nice and wide with partially stained glass windows allowing natural light in and red benches along the walls. 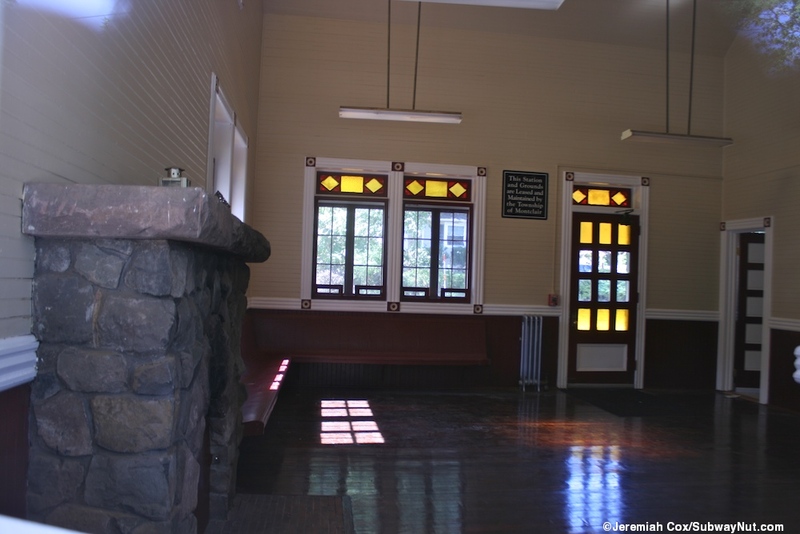 There is also a sealed, stone fireplace. 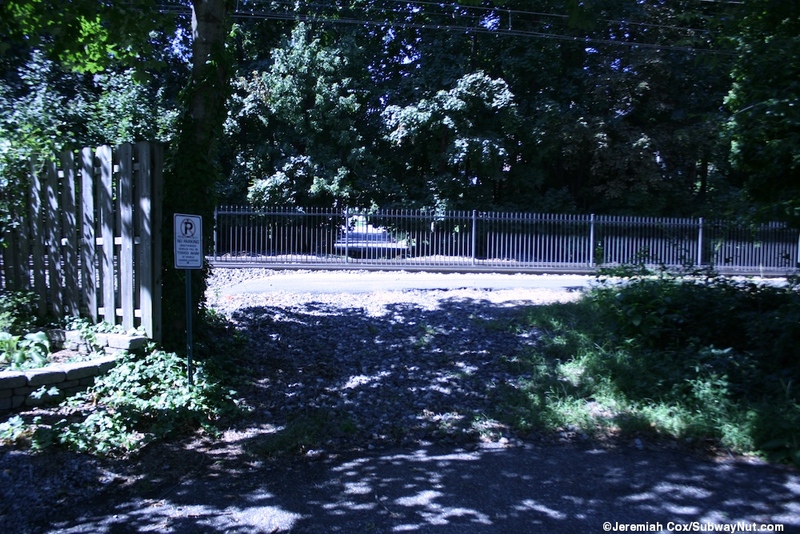 Right before my visit in September 2011, a white domed bus shelter was installed with a new TVM inside it. 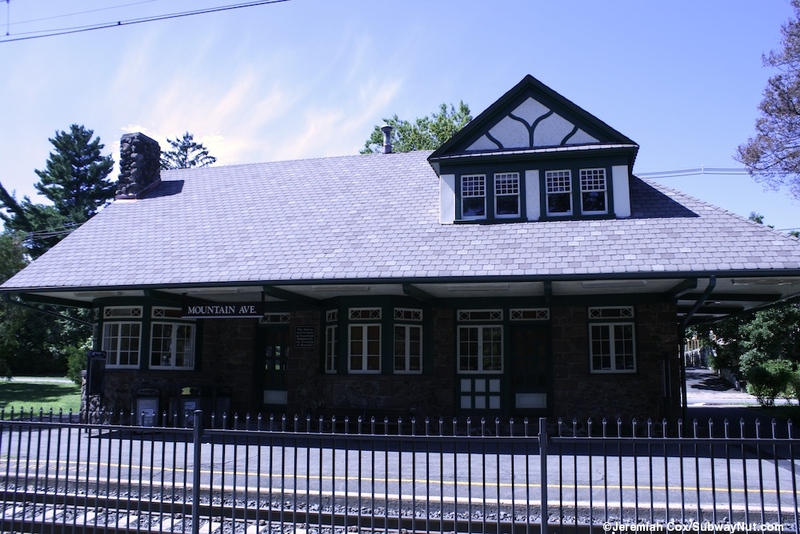 The Hackettstown-bound platform lacks any amenities and just 23 parking spaces (permits required) along parallel Laurel Place. 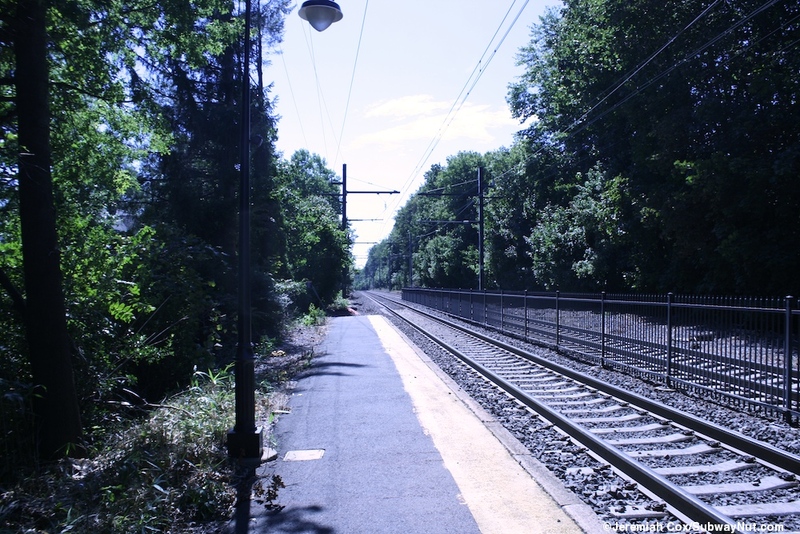 Can I walk across the ballast and reach the end of the platform?